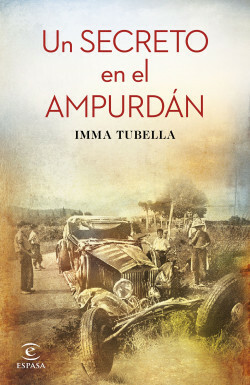 In 1935 a deadly accident disturbs the peace of the small village of Albons, in the Ampurdán. Prince Mdivani (the new husband of the American heiress Barbara Hutton), a local celebrity, was driving from Mas Juny in the company of Baroness Thyssen, returning his lover into the arms of her husband. Taking a curve, their Rolls-Royce went off the road and crashed. He died instantly and she was left unconscious. With them, almost as another character, were three million dollars’ worth of jewels belonging to Maud Thyssen, which then disappeared. A few days after the accident, Baron Thyssen, humiliated, turns up at a hospital in Girona where Maud is being treated. Prince Mdivani’s sister did everything possible to keep the identity of the patient a secret but her efforts were in vain. In addition to scandal over the adultery, there is also the matter of the missing jewels. The Baroness, who recovers, can’t remember anything about the accident and the police investigation is unable to clear up the theft. A few years later, the social and economic progress of certain local people will be impossible to ignore. An unexpected accident. A scandalous love affair. A mystery to be resolved. Glamorous protagonists in a novel based on a real event that sounds as though it came straight out of a film: the disappearance of Baroness Thyssen’s jewels in 1935. An excellent dose of mystery, love, infidelity and pacts of silence. The Ampurdán is a Tuscany-like area but is an undiscovered literary territory.